The French energy transition law, passed last week, will quadruple the country’s carbon tax for fossil fuels by 2020. Journal de l’Environnement reports. The debate is finally over. After more than a year of national consultations, draft bills and parliamentary discussions, French MPs finally adopted the bill for an Energy Transition for Green Growth on Wednesday 22 July. The substance of this far-reaching bill was subject to significant re-shaping by both houses of the French parliament, as well as the government. The energy transition bill, known as the Royal bill, is impressive in its scope. In 66 articles, the text aims to cut France’s greenhouse gas emissions by 40% between 1990 and 2030 and divide them by four by 2050, to halve the country’s energy usage by 2050, to reduce the share of fossil fuels in energy production, to cap the total output from nuclear power at 63.2 gigawatts and bring the share of renewables up to 32% of the energy mix. These may already be long-standing commitments, but that did not stop Denis Baupin, a Green MP and rapporteur of the special committee, from expressing his pleasure at the outcome. “This bill will go down in history. It marks a new era,” he said. The adopted bill contains several last minute additions, including a Senate amendment to increase the carbon tax on fossil fuel use to €56 per ton in 2020, a four-fold increase, and €100 in 2030. “The trajectory of the carbon tax increase is a good sign a few months ahead of the COP 21. It’s a good sign that should be enshrined in the 2016 budget,” said Lorelei Limousin from Climate Action Network. The first challenge to the energy bill came immediately after its adoption. On Thursday 23 July, 60 senators from the right wing Republican party asked the Constitutional Council to review the legality of the legislation. They claim that “the procedure followed by the joint committee in examining the energy transition bill contravened the principle of bicameralism”. But delays to the drafting of the multi-annual energy programme, which will begin by the end of this year, are a more serious threat to the effectiveness of the bill. This process was initially supposed to be completed before the end of 2015. The pessimists see this as grounds to delay the implementation of the law; a view not shared by the energy minister. 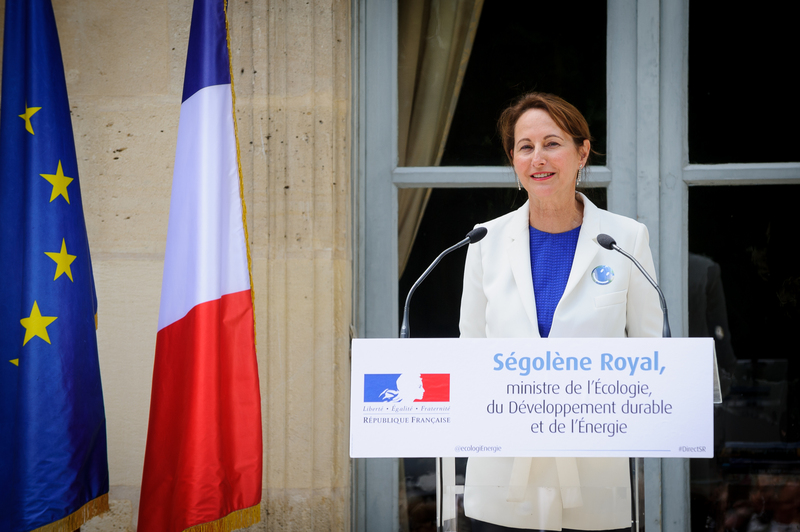 Ségolène Royal told the French Parliament that 18 decrees and 27 authorisations were already being drawn up. These will specify the action that should be taken in terms of clean transport, circular economy and renewable energy from September onward. Details of the French low carbon strategy and the national carbon budget will be published in November. This article was previously published by EURACTIV France.